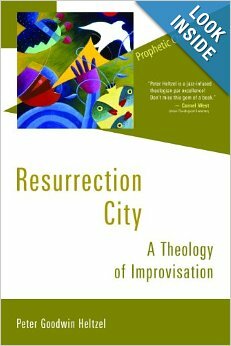 I approached Resurrection City: A Theological Improvisation with some skepticism, I admit. The message of Jesus seen through the eyes of jazz? Somehow it seemed rather implausible and frankly a bit gimmicky. After all, I guess one could do the same with weather or baking a cake if one tried hard enough, but would one actually learn anything? Professor Heltzel has in fact not only pulled it off, but offered us a truly meaningful way of looking at the ministry of Jesus, the message of God, and how we as mortals upon this flawed earth can bring forth true justice amongst ourselves. I have indeed listened, during one portion of my life, a fair amount of jazz. I am not a musician and thus I can only say that I liked a good deal of it, and found some of it harsh and difficult. My expertise is sorely lacking. Such is not the case with Heltzel, who obviously knows his stuff. He uses the idea of jazz and how “good jazz” works as metaphor for how we must approach the fractured world we live in, in hopes of resurrecting our lives to reflect the mishpat envisioned by God. We are taken on a tour of the Hebrew Scriptures wherein we are reminded that throughout the pages of Isaiah and Jeremiah God’s people are continually called to do justice and to care for the weak, the dispossessed, the widow, orphan, and the stranger. We are reminded of God’s call for Jubilee, a time reserved to “re-balance” the scales of economic inequality. Jesus, Heltzel tells us, was the improviser, taking the old laws, the old prophetic calls to justice, and re-imagining them in new ways. Jesus in effect gives us a new way to see and interact with God. The Jesus Way, the way of love, which moves beyond love of neighbor to love of enemy, replacing violence with loving resistance to inequity in the world. This is what jazz is all about, improvisation. It is taking the old, well-known song, and changes it, probing and altering, tinkering, imprinting one’s own voice upon it, making it anew. We still hear the strains of the old, but we are revived in this new way of hearing. As examples of the Jesus Way, Heltzel focuses of John Coltrane as his Jazz improviser, and Sojourner Truth, and Martin Luther King, Jr. as theological improvisers. Each made a seminal and world-changing offering to the “old” way of seeing, listening, and doing. Heltzel maps out how the Christian Church has been, over the centuries, molded into something far removed from God’s loving call to mishpat. It has strayed into a patriarchal, white seat of power, that justified slavery, and the oppression of women throughout the ages. What is required is a “new way” of being church, one that returns us to the radical Jesus Way, and calls us to improvise in order to achieve that social justice that God desires. In that social justice, all of us are freed as we learn the truth of our past, while we gain the tools to begin the process of building our resurrection cities, where communities operate for the benefit of all their people. We must start that process, as he points out, by looking clear-eyed at our past. Through the stories of Sojourner Truth and MLK, Jr, we examine with honesty the past that still haunts us, and how both of them improvised solutions to the problems before them. Each surrendered totally and followed the call for justice. This is a powerful metaphor, and comes at the beginning of our journey through the ugly past of American slavery. It informs our thinking, in a deeply powerful way when we juxtapose that against the determination of Martin Luther King, Jr., to maintain a non-violent resistance to Jim Crow in the South. How does the anger and hatred that the Cone statement engenders get translated into the sedaqah (righteousness) of the love-based non-violent resistance of King, or his mentor Gandhi? Heltzel steps forth with his jazz references. The “blues” of slavery meld into the spirituals that both bespeak that evil and pain while yet pointing to a better time and a better life. These are grafted by the jazz musician into the new music of a world to come, one infused with power and new directions. We see the Poor People’s March on Washington and in our own time, the Occupy Movement, as similar jazzy improvs–people joining together in their pain and anger, and forging a loving yet determinedly non-violent response to the powers that oppress and dehumanize us all. Heltzel informs us, and then calls us to action in our place and in our time to create the new songs that God calls forth from us to build a new world, one of justice and for all. Read this book. You will be transformed. **This book was sent to me for review. The opinions contained within this review are mine and mine alone. No other agreements exist between the writer and anyone connected to the book or its dissemination. Perhaps no where is there more controversy than in the United States over the alleged conflicts between science and religion. Most of that controversy is conducted by folks who are woefully uneducated when it comes to either subject. Alvin Plantinga, noted philosopher, attempts to bring some systematic thinking to the dispute. His basic premise is that apparent differences between science and theism are largely superficial and the two are actually deeply in agreement. His second basic premise is that the true disagreement lies between science and naturalism. First let me say, that this is all quite heavy reading for the average person. If you are untrained in logic, statistical analysis, and philosophy, you will probably, as I did, struggle to follow the train of argument. However with patience, you will certainly tease out the main arguments. It is most important that one understand what evolution is. It is not as is popularly thought, how life arose on planet earth. It is how existing life became increasingly complex over time moving from the more simplistic to the more complicated. In other words, from amoeba to human. The basic scientific explanation for this is commonly known as “Darwinism” or the random genetic mutation which drive evolutionary change. Plantinga, as I understand him, doesn’t say that this process is inaccurate, but he does say that there is nothing to stop God from using his own laws to “cause” this or that mutation, thus “directing” the movement of otherwise benign processes. He addresses the issue of miracles by claiming that those who think there is a conflict claim that miracles are antithetical to a universe operating under “laws” which ours seems to be. Indeed, some theologians would agree, and claim that the biblical references to miracles are nothing but fairy tales used to make more consequential arguments, but not reflecting reality. Dr. Plantinga points out that this no-miracle scenario is only compatible with a “closed system”, and whether it be Newtonian physics or quantum physics, modern science no where posits the idea of a closed system. Therefore when God effects a miracle (if indeed God does) it cannot by definition violate any “law”. He goes on to explain that certain scientific truths are not “defeaters” to theistic belief, such as the interpretation that the earth is flat from a reading of Genesis, and our scientific understanding that the earth is round. Plantinga would argue that this doesn’t defeat belief in God, but merely informs us that our interpretation of some parts of the bible may be faulty. Generally speaking his finds Bebe’s intelligent design to be flawed in its thinking which I think is basically in accord with most of the mainstream scientific community. As Plantinga moves into this arguments involving why science and naturalism are really at odds, the going gets quite a bit more tough and only someone with some basic background can make solid sense of the arguments. He finds that we as humans can be assured that our senses are reliable because God, he claims helps us to see truth. This is our compass in discerning the value of our senses and memories and reason. Naturalism only works for survival and reproduction and truth is not part of that equation, though one could argue I would think that a properly functioning memory, sensory apparatus and reasonable faculty do aid in survival in the end. I’m ill-equipped to make a judgment here as to whether Plantinga has made a compelling case or not. I find his arguments persuasive in large measure, but then I am a believer and carry that foremost into my reading. I hope that I am open-minded enough to see obvious flaws, and were I trained in philosophy, perhaps I could. However, I will say that I too, like Dr. Plantinga, feel ill-served by the so-called New Atheists who tend to substitute more insult than actual substance to their arguments. It is impossible I find to hold a decent conversation with their followers, well-versed or not, when all you get is snide “santa claus in the sky” retorts when you try to make cogent arguments. I think this is an important contribution to the discussion, and one that all believers and non-believers need to read and discuss seriously. In the end, if properly understood, I don’t think we have all that much to argue about. 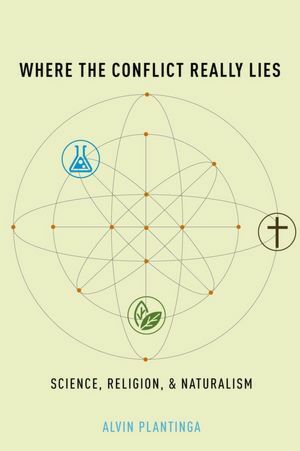 Thinking believers are not anti-science and never were. I am grateful to Oxford University Press and their publicity department for providing this book to me free of charge for review. There are no agreements with them as to the contents of this review, and all the remarks made are mine. 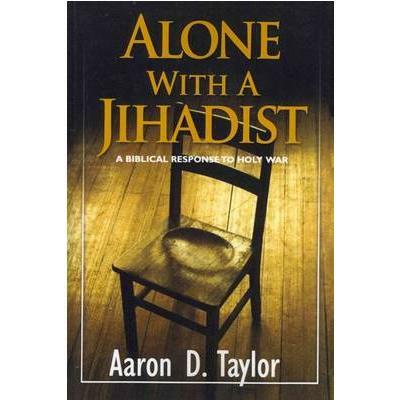 I recently had an opportunity to read Aaron D. Taylor’s book, Alone with a Jihadist. Now I was skeptical in the beginning, learning as I did that Mr. Taylor is a Pentecostal and someone I would normally define as a fundamentalist in his approach to scripture. I have spoken out on many occasions about my reservations of the fundamentalist approach to scripture. Basically it comes to this: I don’t think literalism is at all sound from an exegetical point of view, but beyond that I pretty much think people have the right to believe as they wish. I draw the line when such beliefs are the basis for political action to impose that belief system upon me and others. Most fundamentalists I find do wish to impose a theocratic rule of law upon the American system of government and to this I object. So, given that I didn’t expect I would care for what ever Mr. Taylor had to say. Oh certainly I don’t think that Taylor would disagree that he was raised and began his missionary work as a thoroughgoing fundamentalist with all the baggage I assign it. But something happened that changed his entire perspective. He answered an ad and became involved in the making of a documentary which ultimately led to his having a one on one debate with a radical Islamist. During that conversation, the point was made to him that nowhere does Jesus set out a form of government that would be called “Christian”, whereas, Mohammed did, from his point of view set out a way of living that was godly. He argued that the Koran set out God’s law of human community, where the New Testament did not. After a good deal of thought and much study, Mr. Taylor agrees. Jesus did not define a Godly government. He referred only to a heavenly kingdom. There is no government instituted by men (and all are) that can claim to be the government that God ordains as the Godly. No democracy, no socialist, no communist edifice can claim that it draws its structure from Jesus. What Mr. Taylor finds though his long search is that Jesus had nothing good to say about governments at all. He considered them by definition flawed because they exerted power OVER people rather than raise people up to assist each other. He calls us to live “differently” in the manner of love and service to each other which is anathema to government which is always about obtaining and maintaining power over others. It always, inevitably leads to violence and war. Taylor can find no evidence in the New Testament for violence toward another being sanctioned by Jesus. He explains how violence in the Old Testament (Hebrew Scripture) is largely a stopgap measure allowed by God for a people who were unable to grasp the higher calling of pacifism. I would argue, that in some respects Mr. Taylor’s exegesis of various passages is somewhat strained and still reflects a (what I might term naiveté) less than fully mature methodology vis-a-vis biblical meaning. Some of his arguments are based on a too-literal acceptance of the scriptural passages he uses, ( his belief that the OT references prefigure Jesus in various places as an example) but by and large I think he is correct in his conclusions. He really provides a strong argument that as Christians we cannot participate in acts of violence on behest of our governments because we simply owe first allegiance to God, and God does not sanction the killing or harming of one child of His by another. Quite simply, as Christians, we are called to pacifism. That does not mean that we don’t speak and act against injustice, indeed we do, but in the best traditions of Gandhi and King, who understood Jesus’ message correctly as one of non-violent resistance. Aaron Taylor’s book is a surprise. And it is well worth your time to consider it. You may be convinced or simply (as I was) re-enforced in your belief that violence is not the way of the Cross. It is sacrifice to the idea of love and service that is The Way. ** I was sent this book free of charge for purposes of review. I have no other agreements with the provider other than to review and publish said review. All opinions are my own. This is in compliance with Federal Trade Commission’s 16 CFR, Part 255. 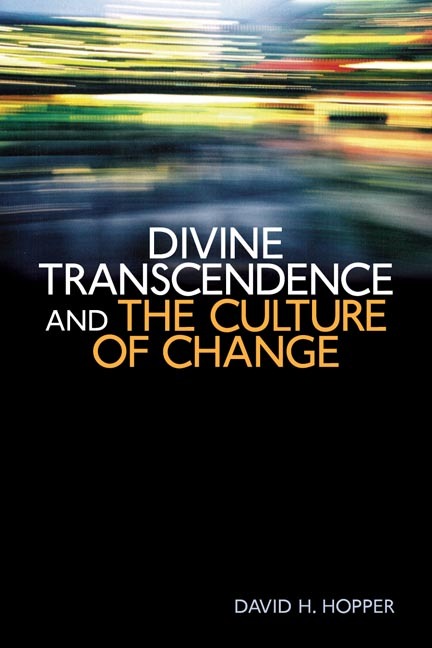 Let me first thank Eerdmans Publishing Company for sending along a copy of David H. Hopper’s Divine Transcendence and the Culture of Change, for review. David Hopper has set out an interesting premise in his latest book: Namely have we gone too far in tolerance? He essentially argues that statements such as “It doesn’t matter what a person believes just so long as he/she is sincere,” are the product of ill-educated minds who know very little of theological matters. In other words, it’s one thing to be tolerant in a prudent sort of way, but it is wrong to have no standards at all. He argues that the divine transcendence of God has been lost in this thoughtless attempt to not step on toes. Many have perhaps come to the same conclusion, but they have done so by laying the blame on the “scientific revolution,” and its concommitant inference that nothing is beyond the mind of mankind. Hopper argues that the Reformation, in the guise of Luther, Calvin and others of the same persuasion also played a part, perhaps unknowingly, in fostering this climate. Christ the transformer of culture. He places various movements, the monastic, Calvin, Mainstream Protestant, Catholic, Feminist, and so forth within this model at their most agreeing points. Hopper sees in the Reformation movement and the following Enlightenment, a movement away from a “religious church-dominated culture” to one predominately secular, and one that has largely discarded its timeless orientation to the changeless and divine. Luther addressed a church largely caught in the medieval concepts of Christ both above and against culture. The Church controlled the life of people by its claim to control their entrance into heaven. Luther of course had no intent to found a new sect, but rather intended to reform from within. 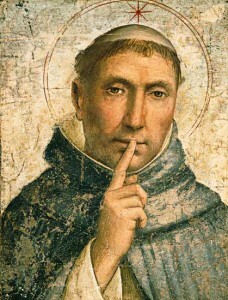 And he of course failed, as the Church, seemingly receptive at first, recoiled at his more “heretical” thinking. Heretical only in the sense that Rome rejected it, and so labeled it. Martin Luther’s “justification by faith” eliminated the idea that salvation was controlled by the Church. Indeed, Luther shockingly argued that it was faith in and adherence to the Scriptures, available to all of God’s people that was above the Church, and where mankind’s salvation was found. Free gift of grace. Along with Calvin, others joined in and began to see Christ and the scriptures as calling for a salvation that was deeply imbedded within culture. In fact Calvin claimed that each person’s vocation was his opportunity to live out the Gospel message in service to neighbor. While Luther did not extend his “Christ in Culture” to include much in the way of serious revamping of political institutions, Calvin did. What is really new in Hopper’s analysis is that he brings Francis Bacon and the English reformation also into the mix. Bacon, in his “idols of the mind” laid the groundwork for a new way of looking at nature. In fact Bacon saw this as God’s will, that man was untruthful to God in leaving all things as mystery in God. Bacon freed the mind of all the preconceived notions and “worldviews” and brought forth inductive thinking, pursuing a method of critical thinking. He claimed there were “attainable” truths “hidden by God” in nature, and these were open to being discovered. Whereas Luther’s holy grail was 1Corinthians 1:18-23. The folly of the cross was God’s foolishness, wiser than that of men, Bacon believes that God has created man to discover the secrets of nature and to use them for the betterment of mankind. Once married to American pragmatism and work ethic, scientific exploration exploded, and as our grip on a transcendent God seems to have slipped away. In the end, Hopper argues for a return to a solid foundation in that transcendence. We are mired in our “consumerism” spirituality. We are driven by change for its own sake, and no longer see the limits of our own abilities. Only with a return to this foundation in the transcendent he argues, can we realistically address the common problems in our global world. This is an interesting book, one for the more serious reader of theology and culture. But one that will seriously re-orient your thinking about progress and the price we are paying for it. My sincere thanks to Jennifer Campaniolo at Shambhala Publishing for sending me a copy of The Meaning of Mary Magdalene: Discovering the Woman at the Heart of Christianity. First let me start out by saying, that this was not quite what I expected. I assumed it would be a scholarly biography of one of Christianity’s most enigmatic women. It certainly is that. But I expected it to be along the lines of a general work using the accepted tools of hermeneutics in examining the texts of the Gospel accounts of the New Testament. That it was not quite, though it certainly examined all the pertinent texts thoroughly. However, much of Cynthia Bourgeault’s work delves into the so-called “Gnostic Gospels” of Mary, Thomas, Peter and Philip. These were more or less known to the powers that decided the canon, but were omitted largely because they spoke of a more transcendent and ephemeral Jesus and his teachings. They were “gnostic” and heretical, having lost the battle to the growing “orthodoxy” of the Roman Church. Rev. Bourgeault crafts with great care and precision her hypothesis that Jesus and Mary were “soul mates,” certainly lovers, although she doesn’t claim they were physical lovers, although she finds no reason why they may not have been. 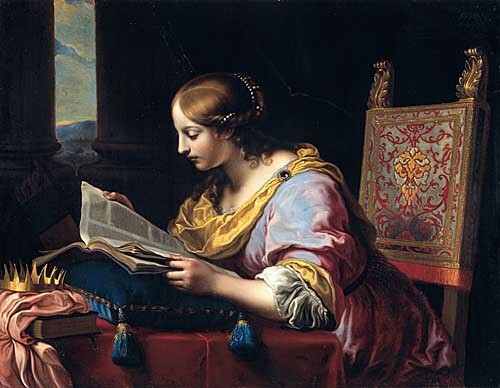 She finds in Jesus a Nazarite, much like John the Baptist, but one who gave up the ascetic life, the life of denial, to move to the path of “singleness” where kenotic love became the center of his being. This self-giving or self-emptying attitude was one that he taught Mary and it is what allowed them to transcend his death on the cross. Their unitive love, whether physical or celibate, enabled them to reach the fullness of being human. It is this towards what his teachings point. It is this message that Jesus sought to teach his disciples. It is what Mary learned, making her the foremost of all the disciples. It is Bourgeault’s contention that the Gospel of John in the canon is perhaps the most clear about understanding Jesus truest teaching. She argues that the Mary of Bethany is in fact Mary Magdalene, or at least created to expouse upon some of her qualities. She would claim that many of the Marys in the Gospel accounts, or I should say many of the women (the woman at the well for instance) are also created composites of Magdalene qualities. If you have ever read the gnostics, as I have, you undoubtedly were quite puzzled. They read more like Eastern mystical works. We are unfamiliar with the words and their meanings. Cynthia Bourgeault, with patience and deep care, unravels the intracacies of these passages, explaining their meaning, joining them to the Semitic eastern mysticism of the time of Jesus. She has devoted more than forty years to Mary, and has traveled to parts of France where there is a very old tradition of the Magdalene’s later years there and the mystical veils that surround her. It will, no doubt be hard for a first time reader, to digest all this “new thinking” about this mysterious woman that we know so little about, yet are still so utterly fascinated with. Bourgeault is both Episcopal priest and part-time hermit. She has studied with many who have lived their lives in these traditions of mysticism. So, her claims are not to be dismissed easily, yet, they remain, reasonable conclusions based on often quite slim evidence. Even if you are not prepared to “buy” all the conclusions, you will I promise you come away with a vision of both Mary and Jesus that are profoundly different than before. As never before, they become fully human to us, who so desperately need human models to emulate. Bourgeault brings the scriptures alive, and quite frankly, through her interpretation, once difficult or puzzling passages suddenly ring with clarity. All the Gospels recall Mary as the first to receive the “good news” of the resurrection. Her voice, since stifled, was so powerful to the infant church that this truth could not be denied. Although each writer in some way minimized her importance, she could not be denied her place in the narratives. It is she, Bourgeault contends, who was the source of the “annointing” ministry that she may well have shared with Jesus, and which comes down to us today as a sacrament. What I came away with, is a deeper appreciate of Mary Magdalene. I have for some time considered her to be an ignored apostle, but I believe now she was much more than that. She was the only one who truly “got it.” As such, she does so much for us as women in the church. She restores us to our rightful place, as integral to the church. She gives us something that a virgin mother never can. She gives us a model of real humanness, fully expressed, fully embodied. I can’t wait to read more of Bourgeault’s work. I believe she has much to teach me about my journey. After reading this book, I believe you will feel the same way. There are hundreds of other examples in the pages that comprise this wonderful book. 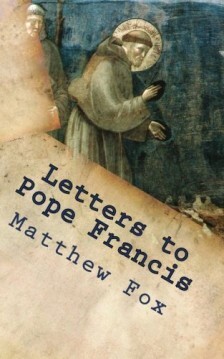 His partners in letter writing are from the average person, to personages such as Pope John XXIII, Coretta S. King, Thich Nhat Hanh, Boris Pasternak, to various Latin American poets, to nuns, and bishops in the Church. His interests were broad, his knowledge deeper than most. Truly, there is so much to be learned and pondered over. 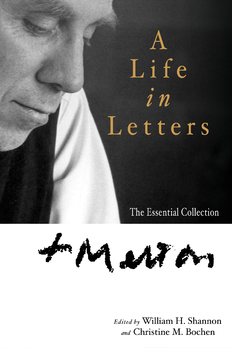 Do yourself a favor, and pick up this excellent source of Thomas Merton’s thoughts. You will, I suspect, then start collecting all his writings. Seldom have I anticipated a book more than Thom Stark’s The Human Faces of God: What Scripture Reveals When it Gets God wrong (and Why Inerrancy Tries to Hide It) . I can tell you, that the book does not disappoint. Indeed, Stark’s claim that polytheism was the order of the day in ancient Israel, is nothing new. Yet he explains it to the lay reader perhaps better than anywhere else I have seen. The same can be said of his hard-hitting analysis of the God of genocide, found in and throughout Deuteronomy, and the God who at least condones and accepts human sacrifice. These difficult and troubling texts are explained, carefully, and patiently with excellent reference to archaeology, other relevant texts of the time, and good literary critical exegesis. Perhaps the area that will cause the most concern is his claim that Jesus, while many things, was most certainly an apocalyptic prophet. Stark points out that his prophecies regarding the end times were accurate, until the last one, the imminent return of himself, ushering in the full kingdom of God. In this Stark claims that Jesus was simply wrong. This is hard to swallow, but Mr. Stark makes a very convincing argument, one well worth the time to read carefully and seriously. I suspect that if you get to that point in the book, you are trusting of Stark’s careful analysis and will listen with an open ear and heart. What is accomplished here, in this book, is more than just showing the errors and contradictions of the bible. There have surely been dozens that have done that already. Rather, Stark, explains how the “book” we call the bible, came into existence. Understanding it as a collection of documents written over more than 1000 years, and containing within disparate, and contradictory voices, helps us to see it for what it is: a people’s walk with God. 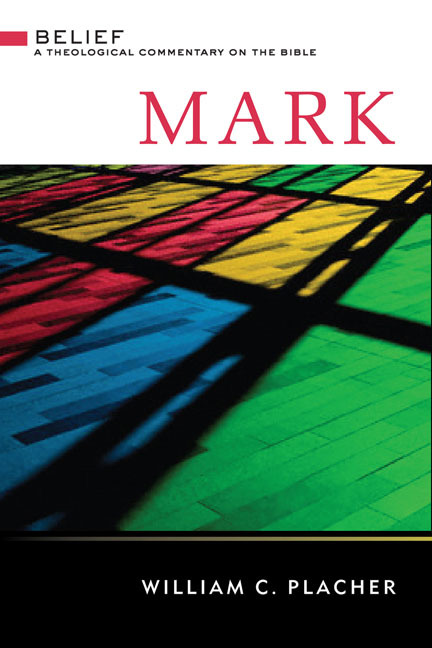 Stark convinces, I think, that having to face up to the difficult and ugly passages in the bible is worthwhile and has much to teach us on their own. Rather than shrug, as inerrantists often do, or try to twist and warp them into some apparent sense, it is much better to accept them as human failings in living and in understanding of their God. Better to allow God to speak through the hateful and unacceptable passages to us today and allow them to inform us as to our own shortcomings and roads to growth. Stark is a believing Christian, one who has struggled with scripture and found that facing the unpleasant realities allows one to grow into a mature faith. In fact, he claims, and I tend to agree, that fundamentalism is an adolescent and immature view, clinging to a world that one would prefer, but which simple does not exist. We would all like certainty. But certainty doesn’t exist. The Bible cannot give us that, no matter how much we might wish it. We can pretend otherwise, but that leaves us mired in a fantasy world and helps us not at all in addressing the troubles of our world. The last chapter is delightful, giving Mr. Stark’s own reflections on what these hard passages can offer us today. Today we denounce such practices as inhuman and reject as irrational the belief that the spilling of innocent blood literally affected the outcome of harvests and military battles. Yet we continue to offer our own children on the altar of homeland security, sending them off to die in ambiguous wars, based on the irrational belief that by being violent we can protect ourselves from violence. We refer to our children’s deaths as “sacrifices” which are necessary for the preservation of democracy and free trade. The market is our temple and it must be protected at all costs. Thus, like King Mesha, we make “sacrifices” in order to ensure the victory of capitalism over socialism, the victory of consumerism over terrorism. If you would learn to understand the bible, and actually get the most out of it, then do read this book. It is about the best I’ve seen at showing us the dangers of inerrancy, and how we can grow in our faith through a truthful, honest and courageous examination of our sacred books. * I am indebted to WIPF & Stock Publishers for sending this book free of charge for review. The only agreement is an implicit promise on my part to read, review and publish the results.